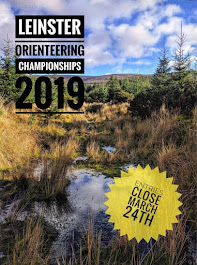 Curragh Naas Orienteering Club: Curragh and Donadea and Brockagh. Curragh and Donadea and Brockagh. This is a bit like Bublin Bus you wait all morning nothing happens and suddenly a whole fleet arrive to take you to your destination. Read it and learn how to orienteer and next time you meet him theres more going on in his head than just numbers he really hates to loose. We also seven runners in the Brockagh Hill race on Wednesday night. Colm wrote up a highly one sided report available here. Very good runs by both Seamus and Niamh. O Boyle takes another win! Brother and Sister win Leinster Champs.